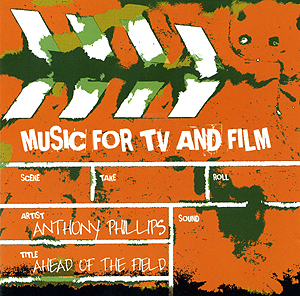 In the autumn of 1984 Anthony was commissioned by music publishers De Wolfe to write and record an album of library music for use on TV and Film. In marked contrast to the solo 12-string pieces he was working on at the same time for Twelve, the library project had a number of requirements in the initial brief, one of the key ones being the use of then-contemporary electronic drum and synthesiser sounds. Anthony composed a number of tracks for the project and scored a selection of them which were then recorded by some top session musicians (credited on the original album sleeve under the name 'X-Cess') in De Wolfe's London studio in the spring of 1985. Anthony subsequently overdubbed some additional parts on the tracks and the finished album was issued as a vinyl LP to broadcasters and production companies by De Wolfe on their Rouge label. The album's "modern, punchy, industrial themes with the emphasis on rhythm" (to quote the description of the album from the original sleeve) were subsequently used on a number of TV programmes in the UK. Voiceprint are now making Ahead of the Field available as a commercial release on CD for the first time as one of a number of releases of De Wolfe library releases.